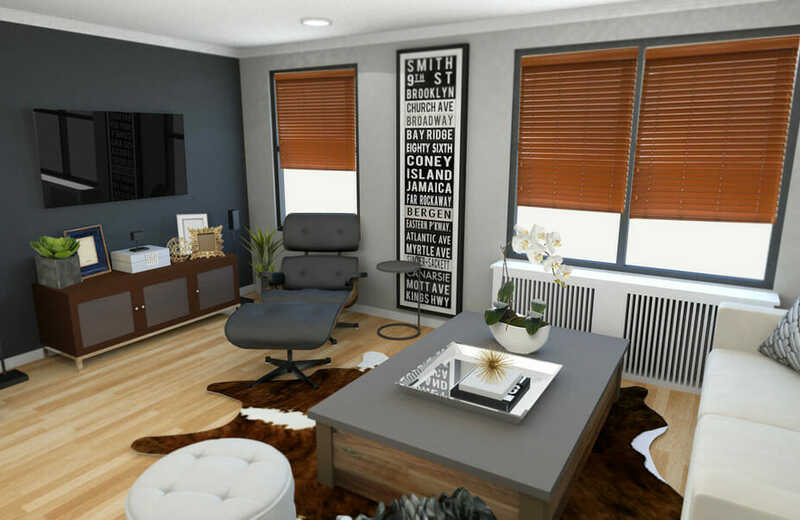 Mark and his wife contacted Decorilla to get interior design help and decided to try the online interior design service. 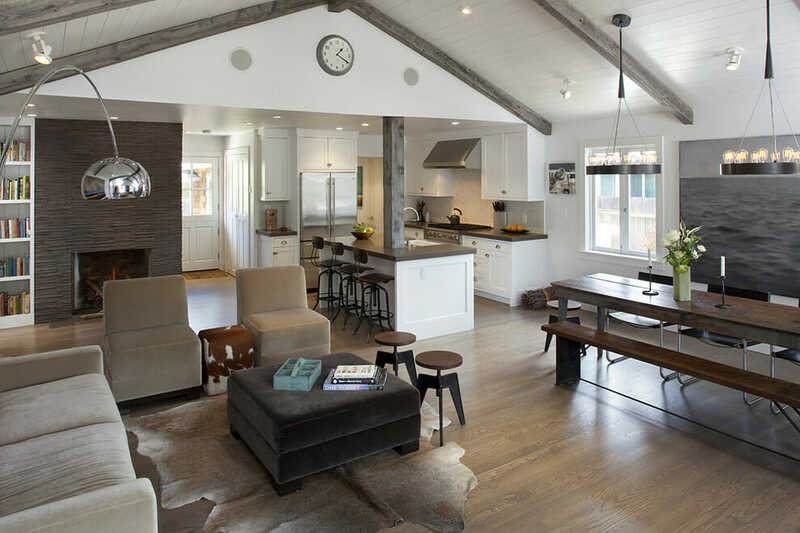 This before & after reveal shows how they found their perfect and cohesive space. 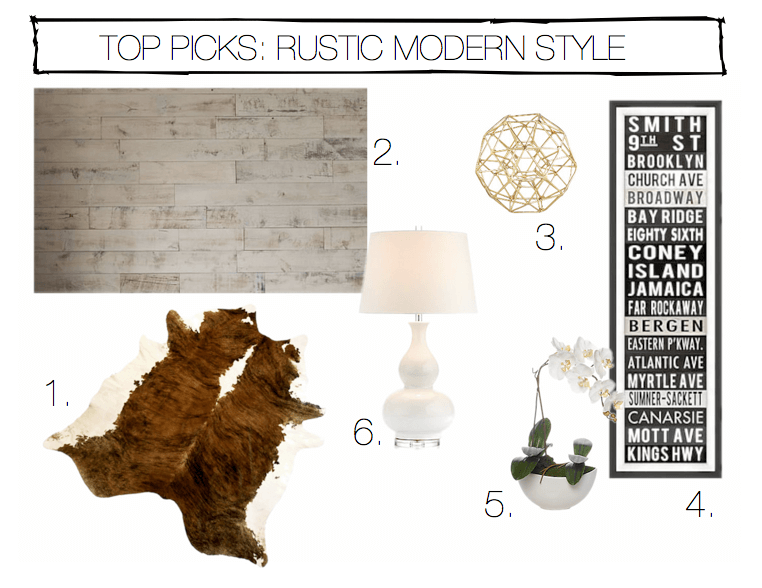 So, how do you create a modern rustic design by combining existing pieces and new ones? 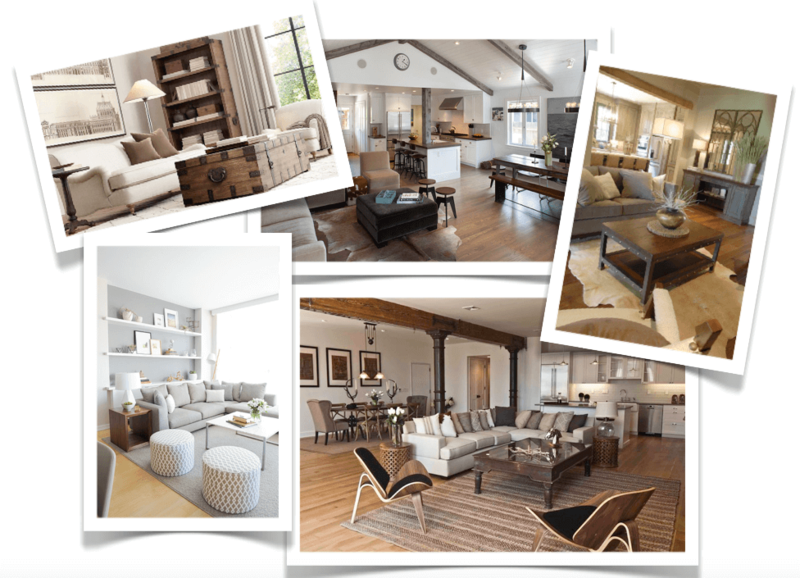 Decorilla online interior designer, Rachel H., used Mark’s inspiration images as guidance. 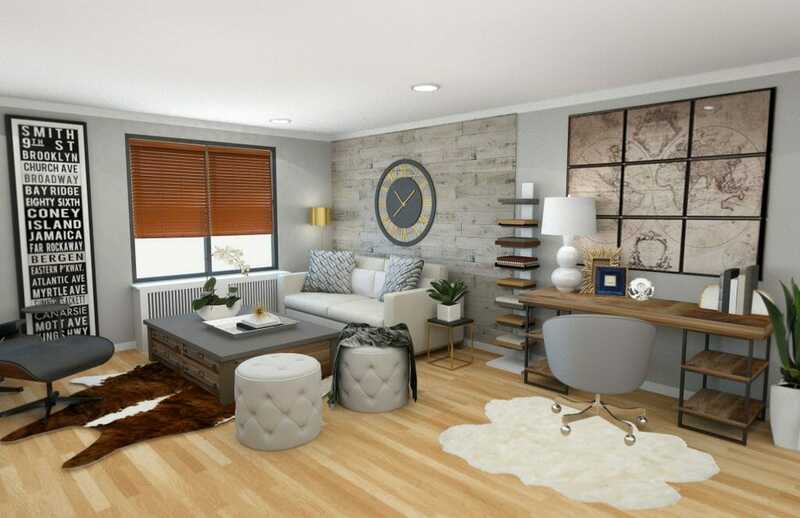 Picking up on the preference for a neutral palette, wood finishes, and patterned textures, she created a concept that effortlessly brought in new elements to enhance the current space. 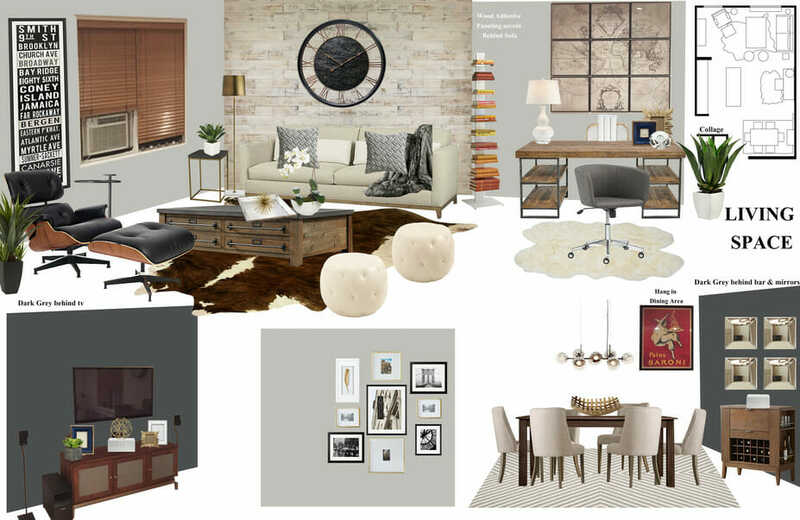 Decorilla 3D Rendering by Rachel H.
Centering around the current pieces, Rachel brought the room together with accent walls in Benjamin Gray’s Nightfall, cowhide rug, an oversized clock and a metallic floor lamp. 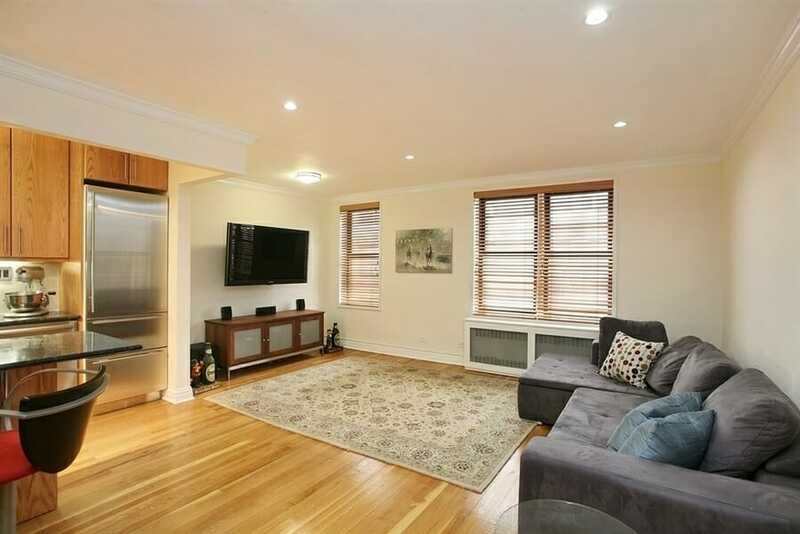 Tall modern shelves give the space height and needed storage. 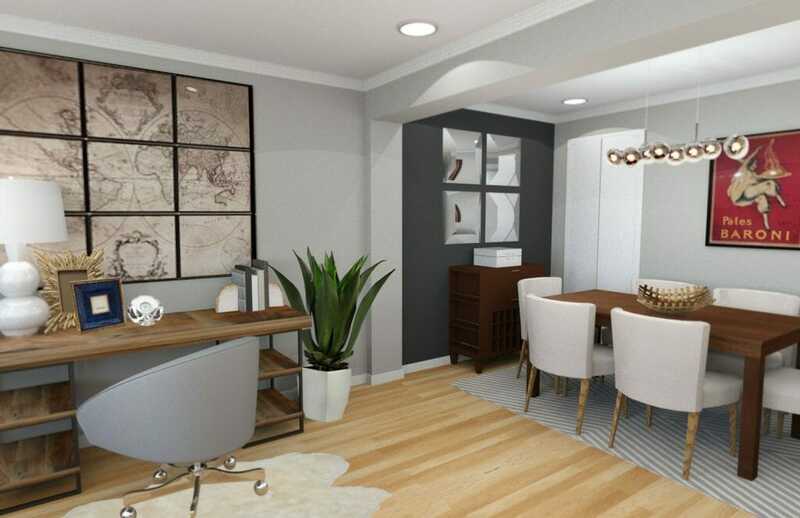 The world map was kept to frame Mark’s new desk and soft furnishings like a faux rabbit throw and knit pillows soften up the space along with tufted ottomans for additional seating.